Our membership mixer and annual meeting will be held at Rosebud's on Main St. -- Please encourage others to come with you (members and non-members welcome!). Rosebud's will be serving appetizers and pouring their great wines and beers (the first round will be on JBCA). Mary will appreciate a rough head count, so shoot me an RSVP for her. Let's fill up the room !! Agenda, Election Slate & By-Laws for review. Below is a note from Andrez, our San Francisco Chronicle sales rep, regarding the opportunity to advertise in an insert, publishing, Sunday, February 8th. You may be aware of the journalists from SF Chronicle in the area over the last two weeks. The editorial is part of our story and the ads complete the story in the insert. You may recall we had a significant bump in visitation from the area after it published last year. I hope this fits your business plan and you choose to participate. If you have any questions you may contact Andrez, number below, or me. We are finalizing the upcoming Amador section in the San Francisco Chronicle. This will be a great travel guide to Amador county for Bay Area readers looking for weekend getaway ideas. The section will be publishing on Sunday, February 8th. Our final reservation deadline is Friday, January 30th. Please contact Andrez Guerrero at 415-216-8905 or aguerrero@sfchronicle.com if you’d like to advertise in the upcoming section. Wednesday, Jan. 7th is Serbian Christmas and there will be a parade through Main St at Noon. As with tradition, shots will be fired. The shots are all black powder blanks and are not of any danger. We have eliminated the position of Office Manager and hope you will join us in wishing Diane Sherbourne all the best in her professional endeavors. She has worked hard for the Chamber during a difficult transition and we appreciate her efforts. We welcome Thomi Manzano to our Chamber Office Staff to join Susan Dixon and our team of valuable volunteers. We will make alterations to the office layout and hope to make it more welcoming and to improve office functions for our members. Please do not hesitate to give us your input as we make changes to improve member services. 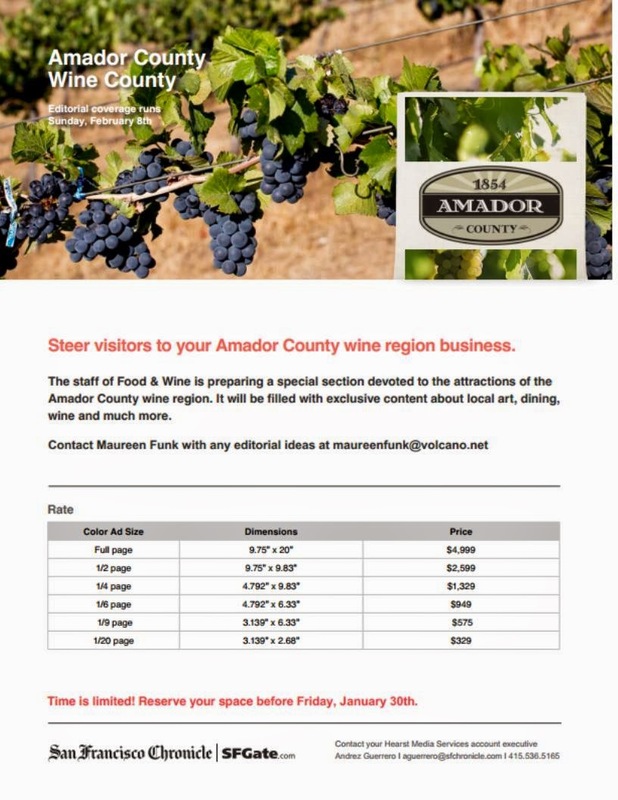 Below is the 2015 Meeting Schedule for Amador Council of Tourism. Our first meeting of the year is this Thursday, January 8th, 9 am, at Jackson Rancheria Casino Resort in the hotel conference rooms. Please look for another email this coming week. We are trying to identify these opportunities early in the year to help with your budget and planning. Thank you to those who sent their membership renewal for 2015. Please take a moment to write the check for your membership renewal. If you are interested in becoming a member, please call the office or email us, and we will forward the application to you. Membership is $150 per year and we will take payments, if that works better for you. I am proud to work for all of you, and proud of what we have accomplished together. If you have ideas and energy, please consider attending our board meetings. Discover what your destination marketing organization, ACT, is doing for you. Can’t make the meetings and want to know more? Please contact me for an appointment and I will gladly explain our programs to you. 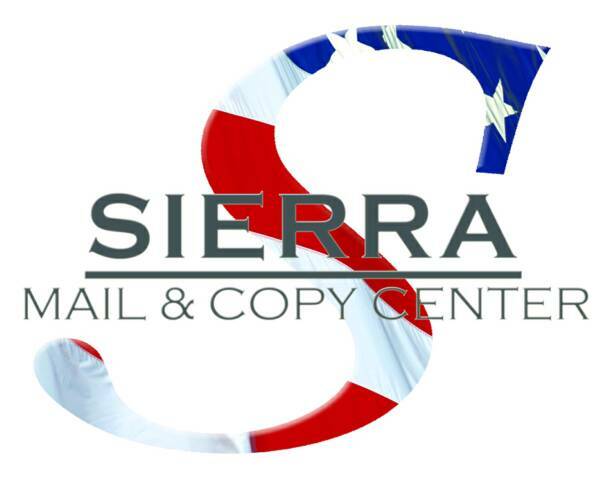 We hope that you will join us for our next Sierra Climate Adaptation and Mitigation (CAMP) webinar, coming up next Wednesday, January 7, 2015 at 11am PST: Sierra CAMP Presentation and Comment on Draft Governance Model. We want to hear from you!